Three new students have just started projects at Tohoku University to assist with the development of the moon rover for our mission to win the Google Lunar X PRIZE (GLXP). Welcome all of you to the team! 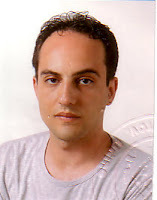 Andrea Gini - is an Information Technology professional, with extensive experience in software design and education, working as a professional consultant and as a teacher in training and certification courses. He has a master's degree in computer science, a master in scientific journalism and is currently attending the Masters of Science in Space Studies at the International Space University in France. Andrea's project will be to develop software to monitor and tele-operate the rover. Roxanne Cote-Bigras - is a candidate for the B.Eng. in Electrical Engineering with focus on robotics and artificial intelligence at Sherbrooke University, Canada. She is now conducting research on the GLXP rover vision and positioning system. 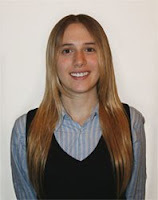 Her previous experiences include domestic robot design and implementation, as well as software development. Her fields of interest are autonomous life-support systems, guidance and navigation of mobile robotic platforms and artificial intelligence applied to human-robot interactions. She is also an active and devoted IEEE member in her local chapter. 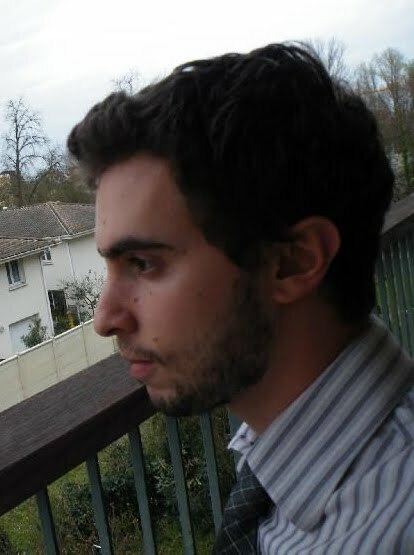 David Jacquot-Letellier - is an undergraduate student currently studying Telecommunication Engineering, with a focus on Multimedia Technologies - involving Image and Sound Processing and Computer Science. During the course of his studies, he worked on various Signal Processing and Programming projects and was a member of his university's Robotics Association. He will soon be assigned to one of the ongoing projects within the laboratory related to planetary rover missions. White Label Space's new Guidance Navigation and Control (GNC) engineer, Dhanushka Chamara Liyanage, has kicked off an ambitious development of a GNC test vehicle. 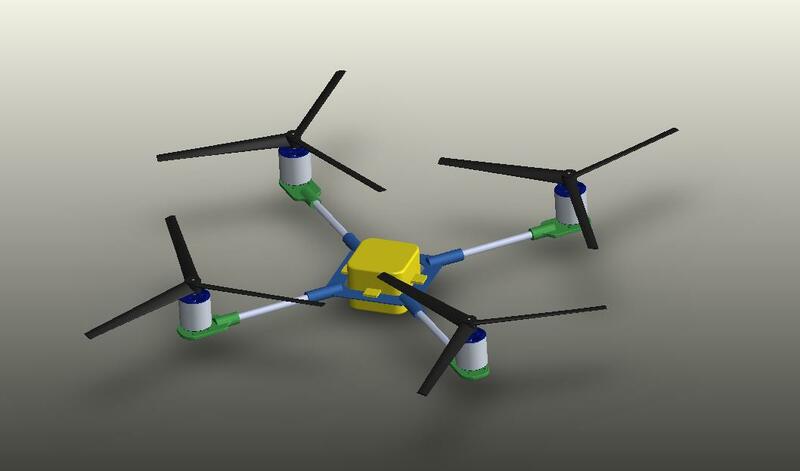 The vehicle (pictured right) is a quad rotor aircraft that will be used as a test bench for investigating some of the fundamental aspects of the decent and landing phase of our misson to win the Google Lunar X PRIZE (GLXP). The vehicle has a GNC sensor package including a 6 dof IMU containing 3 axis accelerometers, 3 axis gyros, two pressure sensors, 3 axis magnetometers, 3 axis temperature sensors and a built in GPS unit. The sensor package will provide raw data about all accelerations, rate outputs and position and Dhanushka will couple the sensor data stream with Simulink to refine the design of the control system. Dhanushka has Bachelor of Science Honors Degree in Mechanical Engineering and is currently working as an industrial engineer in Gampaha, Sri Lanka. Coke and Mentos have teamed up to produce this video showing a bunch of rocket scientists using their respective products as propellants for a human-carrying vehicle. Although the specific impulse is not as high as other more common rocket propellants this approach certainly gives impressive visuals! There is also a nice shot of the scientists looking up at the Moon at the end of the video. Marketers are increasingly looking to these kinds of viral video ads as a cheap alternative to traditional media. Video sharing sites like YouTube make it possible to reach a very large audience at no cost beyond the production of the video itself. At White Label Space we have also been looking at how we can use the new media approaches to fund our activities for the Google Lunar X PRIZE. We aim to provide our sponsors with unique advertising opportunities that convey fresh and exciting messages at a competitive price.